1. Your child must be 5 years old on or before September 1, 2019. 2. Up-to-date Alabama Certificate of Immunization , including chicken pox vaccine. 4. Social Security Card is requested. We must make a copy of this. 7. At least 4 current, working, local telephone numbers for emergency contacts in the event that you cannot be reached. 8. $15.00 for Kindergarten book bag. We ask that all Kindergarteners use the same type bag which will be monogrammed with your child's name. This helps faculty and staff identify a missing bag if lost or forgotten. Ordering at time of registration allows time for the bag to be ready for the first day of Kindergarten. 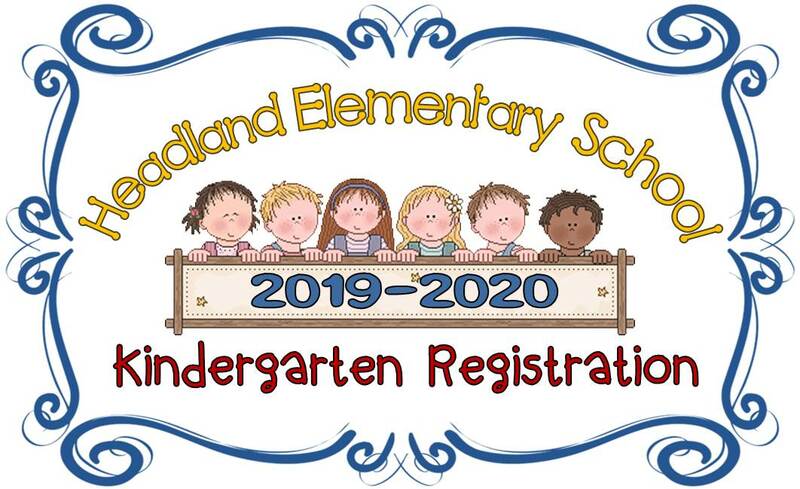 *Admission to Headland Elementary School will follow the residency requirements as outlined in the Henry County Board of Education Policy Handbook. If you have any questions, please call Carmen Neiswanger, Principal at 334-585-7080 or email her at cneiswanger@henrycountyboe.org.